Eight years after Nikki Rivera Gomez came out with his first anthology, Coffee and Dreams on a Late Afternoon: Tales of Despair and Deliverance in Mindanao, comes this second volume of essays on his troubled but steadfast homeland. 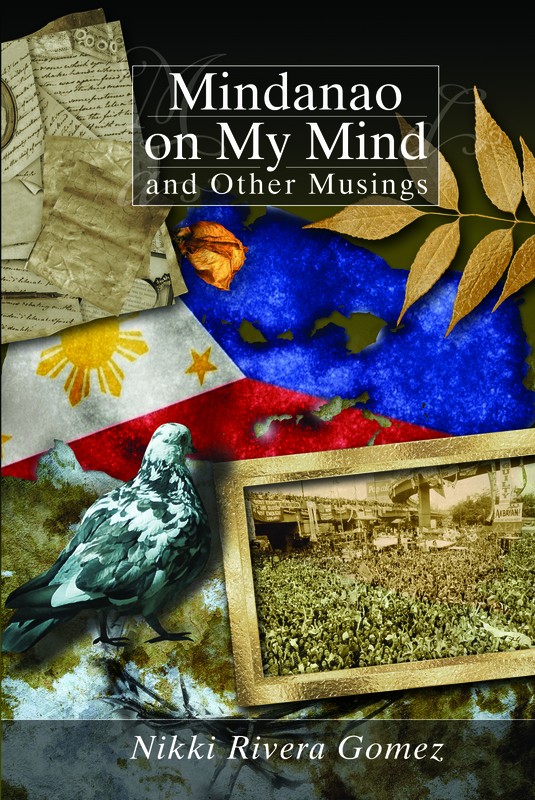 Mindanao on My Mind and Other Musings spans nearly three decades of the author’s insights, from a quieter Davao to today’s unrelenting progress, from college theater to threatened watersheds, from old poems to unyielding Baby Boomers, from the romance of yore to the quest for peace. This book is as much the Mindanawon’s gaze into his eventful past as it is a journey into his hopeful future. Nikki Rivera Gomez is the author of Coffee and Dreams on a Late Afternoon: Tales of Despair and Deliverance in Mindanao, published by the UP Press in 2005. Throughout his thirty-year career, he has been involved with civil society, government, and the private sector, earning for him the unique, disinterested perspective of a conscientious observer. Nikki lives and works in Davao City, and is married to Neng Gomez, with whom he has three children.